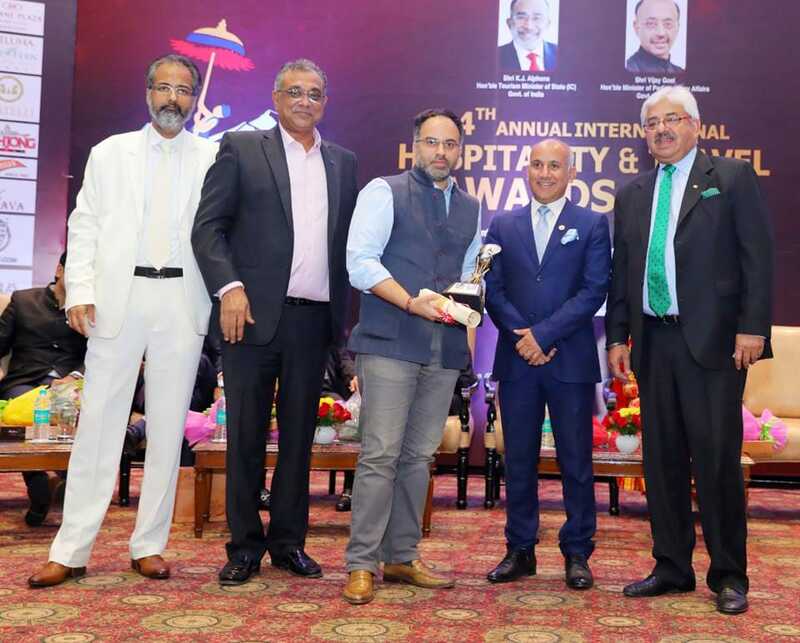 Hospitality India hosted a grand 14th Annual International Hospitality & Travel Awards 2018 at the Ashok Hotel, New Delhi on 5th October in association with Cox and Kings Ltd., Balaji Media and Nepal Tourism Board as the Principal Partner Country. It was indubitably, one of the most prestigious and the biggest Travel Awards in Travel & Hospitality Industry with a huge gathering of 800-900 special invitees of top hospitality professionals from all over India and abroad under one roof. The Chief Guest of the event were K.J. Alphons, Hon’ble Tourism Minister of India and Ramdas Athawale, Hon’ble Minister of State for Social Justice and Empowerment, Govt of India. A unit of DLK Publications Pvt Ltd., Hospitality India is a name to reckon with in the field of Hospitality & Tourism. The distinguished achievers who got honoured in the event were Mehttab Siddiqui – COO GHV Group of Hotels Hyatt Place Hinjawadi Pune & Radisson Midc Andheri Mumbai (Best Chief Operating Officer). Kabir Suri, Directors Azure Hospitality Pvt. Ltd (Best Indian Cuisine Restaurant Chain in India), Dr SPS Oberoi (Renowned Philanthropist & Founder, Sarbat Da Bhala Charitable Trust), Amanpreet Kaur (CEO-Balaji Media), KS Kochhar (MD, Taurus Sarovar Portico), Dr Ravinder (ICMR Scientist), Journalists Sushil Vakil & Bipin Sharma, Eminent Media Consultant Rajni Panwar, Vishal Bakshi (MD, VR Industries), Dr Anuj (noted Microsurgeon & Author) , Poonam Saini (Style Diva & Entrepreneur). Dr Oberoi’s award was received on his behalf by Palwinder Singh (MD, Balaji Media), Agnimitra Sharma, Executive Chef, Hyatt Regency Gurugram (Executive Chef of the Year), Vijay Wanchoo, Sr. Executive Vice President & GM – The Imperial, New Delhi (Life time achievement award), Ms. Ashna Kapur – Vice President Brand Development, Piyush Tiwari , Director Commercial & Marketing, ITDC , New Delhi (Best professional brand promotion & business development), Upaul Majumdar – General Manager, Soaltee Crowne Plaza – Kathmandu (Best efforts to promote Indian Tourism in Nepal), Mandeep S. Lamba, MRICS, Managing Director, India, Hotels & Hospitality Group (Best Hospitality consultants: JLL Hotels and Hospitality Group), Radha and Mr Rajshekar – Owner, UDAY SAMUDRA, Leisure Beach Hotel & SPA Kovalam, Kerala (Best 5* Hotel in Kerala) and Varun Chibber, General Manager, The Leela Ambience Convention Hotel Delhi (Best Luxury Convention Hotel) to name a few. Speaking on the occasion, Amanpreet Kaur, CEO Balaji Media said, “Love, care and respect have always been an integral part of an Indian persona. Since ages, we have been reverent towards our guests. Indian hospitality has always set unprecedented standards for the world to follow and imbibe. Hospitality India undertook a splendid initiative to honour the best from two key industries namely Hospitality and Tourism, and this is precisely what inspired Balaji Media to join hands as the Event partners for the prestigious 14th Annual International Hospitality & Travel Awards this year.